We craft our jewelry using both 18k and 14k gold. 18k gold is composed of 75% gold, which is alloyed with other metals to make it strong enough for everyday wear. 14k gold is composed of 58.3% gold and 41.7% of other metals. Yellow Gold has an inherent classic and deep look about it and radiates victory and opulence. Natural gold and color-saturated alloys are what give yellow gold jewelry and its rich shine. The alloys most commonly used, are copper with a red hue, and silver featuring a green hue. An expert mixture of copper, silver and pure gold gives this precious metal its signature warmth. White Gold has gained popularity over the past few years since it fits with any occasion and any outfit. A silvery white character is what makes white gold jewelry so appealing. In order to make the gold white, it is combined with metal alloys that are white in nature and plated with an extremely hard element called rhodium. The beautiful pink hue of rose gold jewelry is created by using a copper alloy. Again, the overall percentages of metal alloys is the same for rose gold as it is for yellow or white, there is just a different mixture in what alloys are used. However, it is not generally considered strong enough for everyday wear. 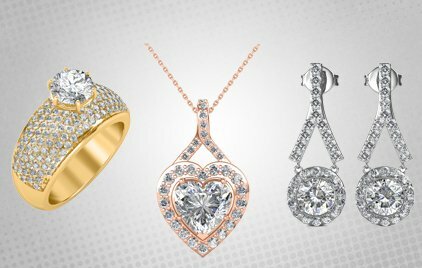 At Sarvada Jewels, for all our solitaire jewelry products, we use rose gold polish to achieve the look alongwith durability. Hallmarking of gold jewellery is on a voluntary basis under the Bureau of Indian Standards Act, 1986, in accordance with the Vienna Conventions international criteria on hallmarking. Called the "King of Metals", platinum is a very heavy (nearly twice the weight of gold), silver-white metal that is very ductile. Although it is a soft metal, platinum is not easily scratched, never tarnishes, and is very strong and durable. It is the strongest precious metal used in jewelry, and has good resistance to corrosion and chemicals. 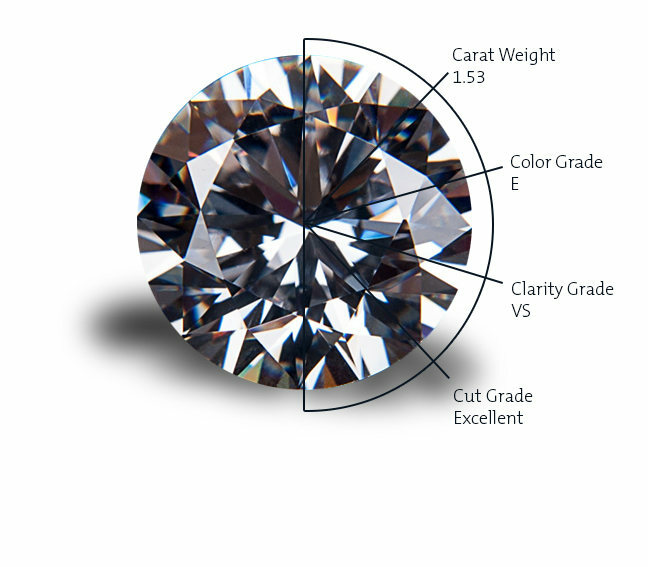 Platinum is also the only precious metal used in fine jewellery that is up to 95 percent pure. Small amounts of iridium and ruthenium are commonly added to it, to give it a harder, stronger alloy that retains the advantages of pure platinum. Platinum's subtle beauty and its tendency to not add colour of its own, enhances a diamond's natural brilliance and fire, making it an excellent metal for diamond jewellery settings. It does not change shape or wear away so precious stones are held firmly and securely. Because of its purity, platinum is naturally hypoallergenic, a plus for people with sensitive skin or allergies to certain metals. Today, platinum is more valuable than gold. Although it is used in many industrial applications, including the automotive industry, platinum jewellery consistently commands higher prices because of its rarity.